As our visit in Luang Prabang wraps up we’re enjoying some final attractions here. 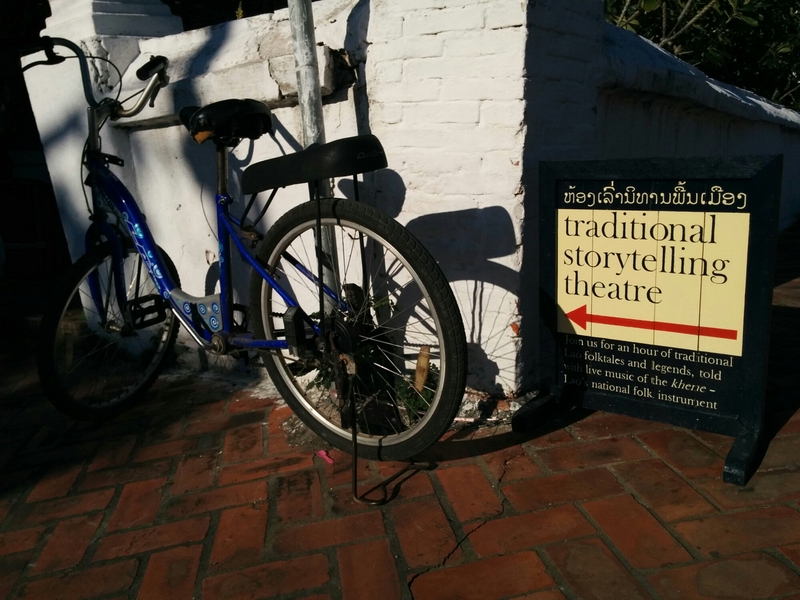 Just around the corner from our guest house is the Traditional Storytelling Theatre. Everybody loves a good story and here, the audience is treated to many of Luang Prabang’s myths. We learned how Phousi Hill was created when the monkey god Hanuman (who was searching for mushrooms) carried a mountain back from Sri Lanka and deposited it in the center of Luang Prabang. Or about the Naga (water serpent) that lived where the Nam Khan river drains into the Mekong at the north east end of town. The girls were +riveted+ and hoped that the stories changed every night so they could come listen to more of them. 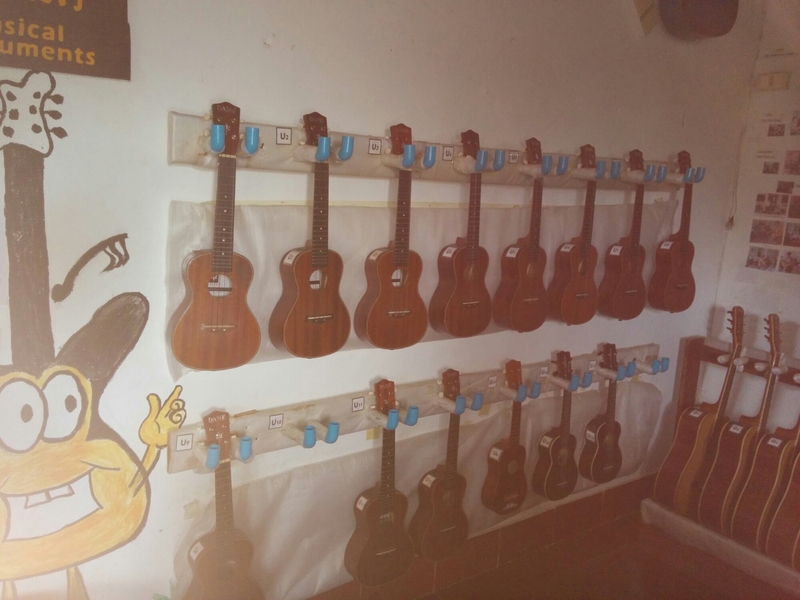 The stories were accompanied by music played on a traditional instrument called the kan. We were interested in learning more about music here and found a small local music school called Music for Everyone. 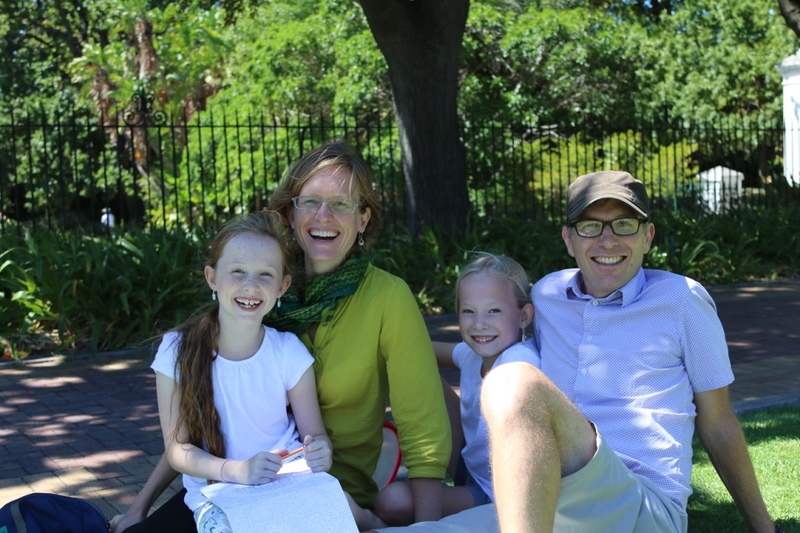 It’s an impressive resource for the community; local kids love the place. Saga strummed one of the ukuleles. 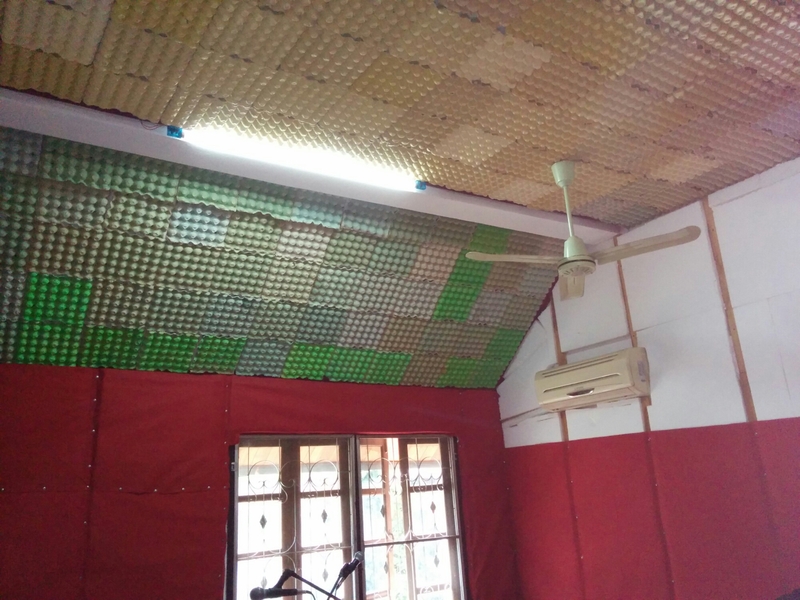 We admired (in addition to the music) the clever use of egg cartons on the ceiling to improve the acoustics. 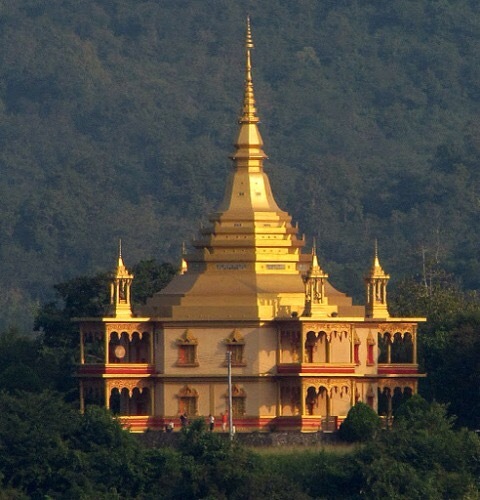 The Vipassana Temple and Park is located just outside of the old city center. It’s visible from afar (the picture of the temple below is not mine) and is probably the most beautiful temple in a town that seems to be built of beautiful temples. In 1975 the Pathet Lao took control of country, abolished the monarchy and sent the King and Queen to a remote reeducation camp. The royals are believed to have died there but there has been no public discussion of their deaths. The Royal Palace in Luang Prabang has since been converted into a national museum. It is replete with artifacts from the royal family including decorative walls, coronation regalia, and royal clothes. It didn’t take long to see it all and was worth the visit. The animal spirits are said to infuse the whiskey and their strength confers to the drinker. 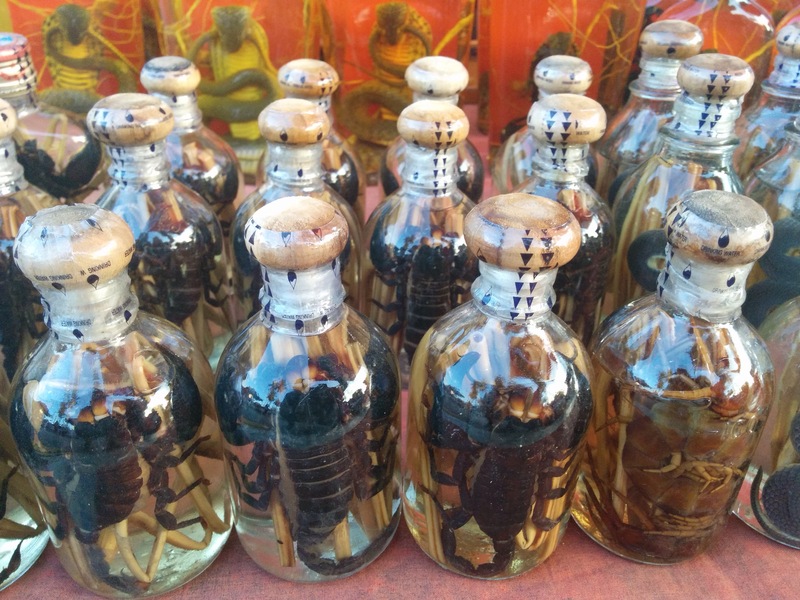 One wonders about the cobra population but the whiskey merchant we spoke with assures us that the snakes are fine. We leave for Vietnam on Friday and will spend a month in Da Nang, close to Hue and Hoi An. 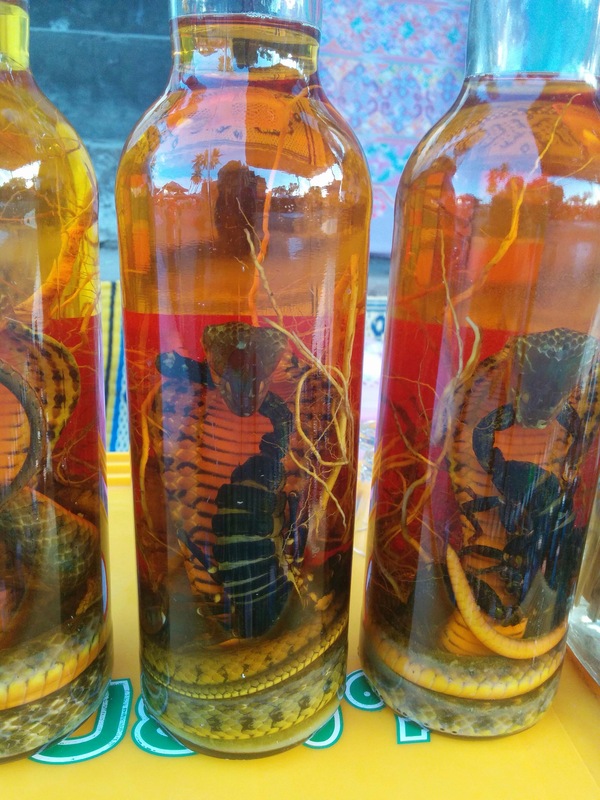 Love the storytelling theatre but I am not so sure about the cobra/scorpion whiskey! Perhaps the latter provides inspiration for the former 😊! Happy and safe travels to Vietnam!